It is possible to get on and off the bus only at the authorized bus stops throughout the journey and when the bus is stationary. The passenger must notify the driver if a specific bus stop is required in order to stop at the requested bus stop. The passenger must stand at the appropriate bus stop for the destination and to get off the bus must request this to the driver. If all the seats are occupied on the bus, further passenger are not permitted to travel. 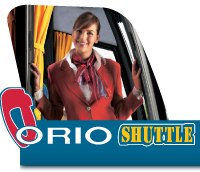 Before travelling on the bus, passengers must have a valid ticket. Tickets are sold by the authorized ticket-counters and by the drivers. The ticket must be validated when getting on the bus. If the ticket machine is out of order, passengers must inform the driver and present the ticket to the driver. If the passengers has a seasonal-ticket this must be presented to the driver when getting on the bus. Seasonal-tickets are valid only when presented with an identification card which number must be transcribed on the seasonal-ticket. Tickets must be kept throughout the journey complete and untampered. Tickets are reliable documents. Once the ticket is purchased, no refund is permitted. Tickets are not-transferable. Tickets must be presented to our companys personnel upon request. Refunds are forbidden by the company if the journey is interrupted due to circumstances beyond our control or delates caused for any reason. Children under 2 years of age can travel free, without the purchase of a ticket. Children between two years and eleven years old pay half fare. Infants have to travel on bus and minibus according to the prescriptions contained in 172 C.d.S. Passengers must respect warnings and orders issued by the Companys personnel in order to assure a safe and regular service. 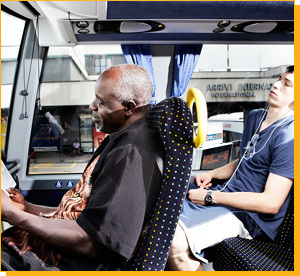 Passengers must remain seated throughout the journey untill the bus is stationary. Passengers must occupy the seats available. The Company declines all responsibility in the case of accidents occured to passengers who do not obbey the instructions correctly. Schedules may be varified during the period of validity. Notices stating changes will be placed at the bus stops and at the ticket-counters. Refund requests are approved only in case of Company delays that involve serious and shown damages to the client. Passengers without valid tickets are subject to the payment of administrative sanctions fixed by provincial laws. Passengers who do not respect the regulations above are not permitted to get on the bus or may be asked to get off before the end of the journey by Companys personnel as well as being subjected to penal actions. Lost and found property can be collected from Monday to Friday from 08.30 to 12.30 and from 14.30 to 18.30.